Cheryl’s practice focuses on delivering a broad range of legal services to individuals, family-owned businesses, and closely held corporations in the firm’s Business and Real Estate practice groups. Leveraging over 20 years’ experience as an executive with Boeing Commercial Airplane Group and Microsoft Corporation as well as owner of small businesses, Cheryl’s approach is to deliver practical guidance and solutions to meet her clients’ needs. In law school Cheryl was honored with the CALI Excellence for the Future Award for Top Performance in ‘Strategic Commercialization of IP’ Course, Washington Asian Bar Association Scholarship and Korean-American Bar Association Scholarship. 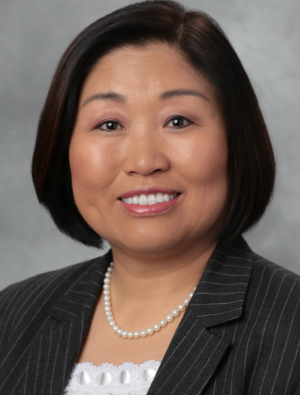 Cheryl serves as an advisor in the University of Washington Entrepreneurial Law Clinic and as a pro bono attorney in Korean Community Service Center legal clinic and One America Citizenship clinics. 이승영 변호사는 완벽한 영어와 한국어를 구사하는 이중언어 소유자로 여러 분야에서 폭넓은 법률서비스를 제공하고 있습니다. 개인은 물론 가족이 운영하는 비즈니스, 회사 형태로 운영되는 비지니스에다 부동산 관련 그룹들에게 필요한 다양한 법률 서비스를 제공하는데 초점을 맞추고 있습니다. 이 변호사는 20년이 넘개 보잉과 마이크로소프트 회사에서 중역을 지내며, 또한 스몰비지니스를 운영 하며 쌓고 길러온 경험과 노하우를 바탕으로 고객들에게 법률적인 방법이나 절차, 궁금점은 물론이고 해결책도 제시합니다. 이 변호사는 워싱턴주 아시안변호사협회, 워싱턴주 한인변호사협회 등으로 부터 장학금을 받고 졸업했으며 UW 법률, 기술 및 예술 저널의 편집장으로 활동했고 기업법률클리닉에서 신생기업에 법률자문 서비스도 제공했다. 특히 로스쿨 재학 당시에는 ‘지적재산권/소유권(IP)의 전략적인 상업화’ 코스 에서 최고 미래변호사 상을 받기도 했습니다. 이 변호사는 현재도 워싱턴대학 (UW) 법률클리닉 자문으로, 한인생활상담소 법률 상담변호사로, ‘원 어메리카 시민권신청’ 변호사로도 봉사하고 있습니다.